Image via Flickr by Aaron Paxson. 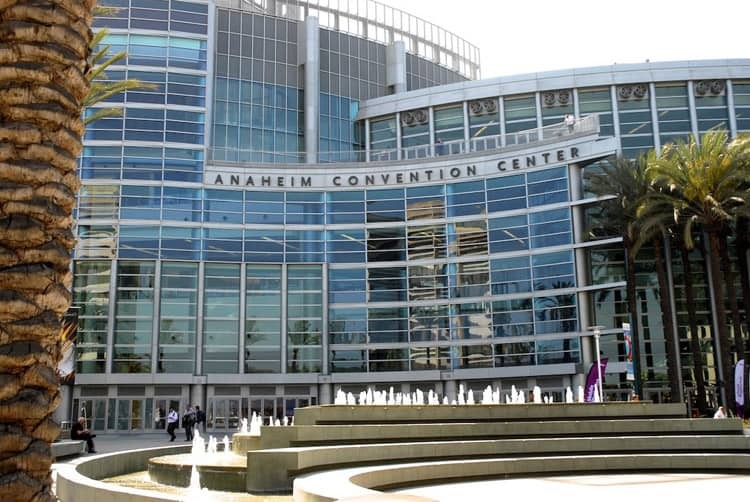 Are you heading to Anaheim for a conference or trade show and wondering what to do? Don’t underestimate the power of doing something else in Anaheim besides seeing the mouse! I know from personal experience with working and attending events that conferences often mean you’re often stuck indoors without fresh air or good food. My remedy is planning a 24- to 36-hour adventure before or after my event so I can enjoy my surroundings, get outdoors, and try some tasty food. Spending 36 hours in Anaheim is easy. You’ll run out of time before you run out of things to do! Image via Flickr by Jennifer C.
Whenever I’m doing something at or near a convention center, particularly if it’s the largest convention center on the West Coast, I want my hotel to be as close as possible. In Anaheim, this is no problem. Not only are the IHG hotels near the Anaheim Convention Center close to all the Los Angeles-area airports, but they’re also super close to the Anaheim Convention Center. With that problem solved, now you can go and play! Ducks out for a walk in Ralph B Clark Park. Image via Flickr by Fido. There are a ton of parks and gardens in the Anaheim area that will make you forget you’re in an urban jungle. Located in the Anaheim Hills, Oak Canyon Nature Center has lots of trails for hiking. Most of them are pretty short in length and minimal in difficulty, but they’re all connected so you can keep on going until you get tired. There’s also a natural spring that runs along most of the trails as well as plenty of shade to escape the heat. In the mouth of the Santa Ana Canyon, you’ll find Yorba Regional Park. It spans over 140 acres and has four lakes with fish. The Santa Ana River runs along the park, including the hiking trails and picnic area. There are over 400 picnic tables here, so you’ll easily find a nice shady spot to have lunch after a walk or a hike. 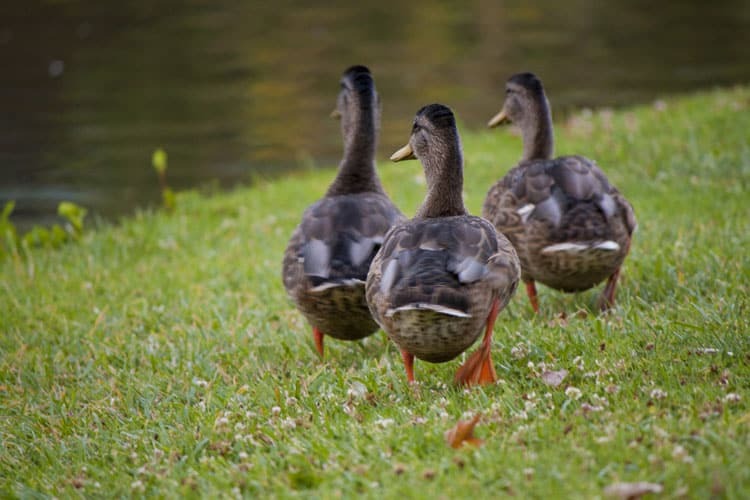 If you love birds, you’ll really enjoy alph B. Clark Regional Park just outside of Anaheim. You can see more than 130 bird species in the park. You can also bike, hike, fish, or just relax under a tree. In season you can also check out games at the six softball fields. In the spring, there’s nothing better than baseball, hot dogs, and apple pie at Angel Stadium. Check out the local team and sip some brews. The hot dogs from Crafty Dogs are amazeballs! On Thursdays, Anaheim Certified Farmers Market is open downtown from 9 a.m. to 1:30 p.m. You’ll find fresh produce from local farmers, which is perfect for a picnic at any of the above parks. Here you’ll also find flowers, food stalls, and other artisanal products. On Sundays, head to the Packing District to check out the Farmers Park Market, which takes place in a 2-acre park with a nice boardwalk and gardens. Kalguksu at Myung Dong Kyoja. Image via Flickr by bionicgrrrl. Okay, you know me. This is my favorite part, which is why I saved it for last. It doesn’t sound right to say, “Stay, Play, Eat,” so just roll with it! I could write a whole post on food alone, but here I’m just going to give you some highlights. If you’re into noodles, then Myung Dong Kyoja is the spot for you. 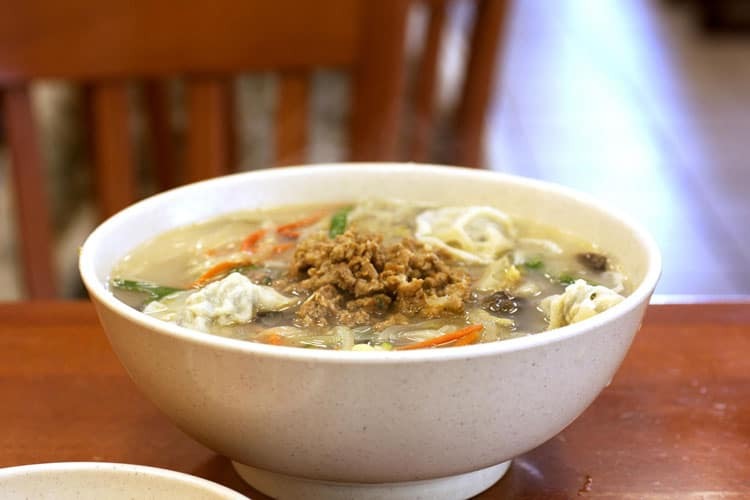 All the Korean dishes are to die for, but don’t miss kalguksu, the signature bowl of knife-cut wheat noodles with ground meat and dumplings. There are plenty of great burgers in Anaheim. You won’t go wrong at the American Tavern Eatery or Umami Burger, but if I had to choose just one spot, it’d be Slater’s 50/50. This bacon-forward burger is cooked perfectly and never disappoints. Get an egg on top, and you’re done. In Southern California, tacos are everywhere. I love a good taco truck, but when I want something a little different, I head to Pour Vida Latin Flavor for the fried chicken or the ahi taco. This spot also does a great breakfast burrito. I’m a huge fan of sushi, and I love Hawaiian food, so I often make a beeline for PokiNometry to get a cafeteria-style poke bowls. You choose a base, add fillings, and throw on some toppings for a big bowl of heaven. Last but not least is Olive Tree, a great Middle Eastern joint in Anaheim’s Little Arabia district. You’ll find dishes from all over the Middle East, and everything is delicious. I’m a fan of the lamb shank and biryani rice. The next time you’re attending a conference at the West Coast’s largest convention center or going to the land where the mouse rules, you’ve got a game plan of great places to stay, fun things to do, and delicious food to eat in Anaheim. Now get out there and tell your boss you’ll work that trade show! How about you? Have you spent any time in Anaheim? Have something to add to this list? Do tell! I’ve only been to Anaheim to, you guessed it, check out the parks, but it looked like a lovely place to explore outside of Disney! I think this is a sign I have to visit since the word Anaheim has been popping up A LOT in my life these last few days! I love hiking trails so the Nature Center is a place I would want to explore. @Natalie, that has happened to me before, all these signs telling me to do something! I don’t think I’ve visited Anaheim before. It sounds like a cool place for the whole family. The food looks so good as well! @Elizabeth, if you ever get to Disneyland you will be right in the middle of it! I’ve been all around California, including to Anaheim. I went to Disney so I didn’t really spend too much time in the rest of the area. I’m really glad that you had fun adventure there! I’ll make sure to bring my family there soon. I will have to try the American Tavern the next time I am in Anaheim. I love a good burger! Then, I need to check out the hiking trails at Yorba Regional Park to burn off all of those calories. Thanks for the tips! I’ve stayed in Anaheim before and it was lots of fun. I like staying in Anaheim because it is so close to Disneyland… totally convenient. 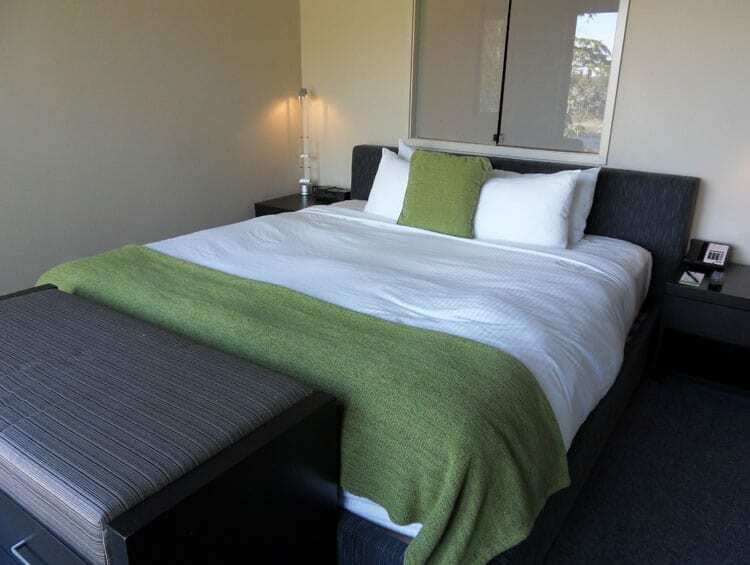 The IHG hotels seem great – that bed looks extra comfy! Those ducks are adorable! Sounds like a great place to visit! I can’t wait to go back to California! I haven’t been in many years and hopefully will be bringing my husband! We want to do a few days hoping around in California. We’d be starting in San Diego, and heading up. One main thing we can’t wait to see is Disney Land! @Jennifer, what a fun trip! You will have a great time! I haven’t been to Anaheim but love the pictures! I’ve been to Coronado Island before and absolutely loved it and would love to visit Anaheim and also San Diego. I too love tacos!! So good! Thanks for sharing! @Kristina, all of Southern California is great, hope you get to do more exploring! My family and I often go to Anaheim because it is centrally located to the places in LA we need to go and Disneyland is close by. Thanks for sharing your hotel experience. Will definitely look into booking our stay there the next time we visit. Omgoodness, so beautiful! Need to add this to my bucket list of places to visit! Love the duck images. @Lisa, there is so much to do there, you can’t go wrong! When I travel, the first thing I research is local eateries. I have been to California twice, and had amazing food both times. Ah, this makes me want to head west again! I think we’d have a lot of fun exploring Anaheim. The places to eat you found sound great! Oh man do I miss California! 🙂 Anaheim was always so much fun, so many parts of Orange County! There are beautiful beaches, parks, and I used to go to a Buddhist temple in Costa Mesa that was amazing! I hope your travels are awesome, I love your blog! 🙂 Thank you!!! @Andy, oh I would love to see the Buddhist temple there! Sounds like a fun place to spend time! WE’ve driven through Anaheim but never really explored. @Neely, next time stop and stay a bit, there’s lots to do! We’re actually going to Anaheim for a few days in May–I’m really looking forward to it! Thank for the post, I was able to jot down a few more ideas for the trip! @Rachel, oh have fun, I hope some of my pointers help! I would love to visit Anaheim! This looks like such a fun place to experience. This looks like a place I would love to visit! Great pictures. A few years ago, I was at Anaheim visiting a cousin. However, I was not able to tour the place really well because of time constraints . I will have to keep these places in mind the next time I go there. @AnneMarie, since you have a cousin in the area, it’s likely you’ll get back, definitely explore more! I have never been. I am thinking it would be the perfect graduation gift for my daughter though, for us to go. @Rosey, oh for sure, that would be a very memorable trip! I love the scenery and the sights in Anaheim. It is definitely a place that I would love to see for myself with the family at least once in my life. @ToughCookieMommy, it is a fun spot for kids! Your post made me smile. My husband and I have been to Anaheim a couple of times for his conventions. We’ve really enjoyed going to games at Angel Park and the food. Yes .. there’s always the food! @Ali, so glad that you got to experience some of Anaheim! What has been your favorite place to eat? What a coincidence that I come across this post, since I might be going to an event in Anaheim in a few months. It looks beautiful there! If I do go I don’t think I’ll have time to visit the city…unfortunately! @Lisa, that has happened to me so many times! Maybe you’l get out to eat. If not you can try these out on a future trip. Sounds like such a great place to check out soon! I love going and seeing new fun places! I love tacos! I think you had me at “tacos are everywhere.” 🙂 It sounds like a great destination. I have passed through Anaheim before, but I have never spent time there. The farmer’s market looks great as well. Sound so fun ! I have never been , but I hope of going someday ! It sounds like a dream !